govcsim is a vCenter Server and ESXi API based simulator that offers a quick fix solution for prototyping and testing code. It simulates the vCenter Server model and can be used to create data centres, hosts, clusters, etc. govcsim (a vCenter Server simulator) is an open source vCenter Server and ESXi API based simulator written in the Go language, using the govmomi library. govcsim simulates the vCenter Server model by creating various vCenter related objects like data centres, hosts, clusters, resource pools, networks and datastores. If you are a software developer or quality engineer who works with vCenter and related technologies, then you can use govcsim for fast prototyping and for testing your code. In this article, we will write an Ansible Playbook to gather all VMs installed on a given govcsim installation. 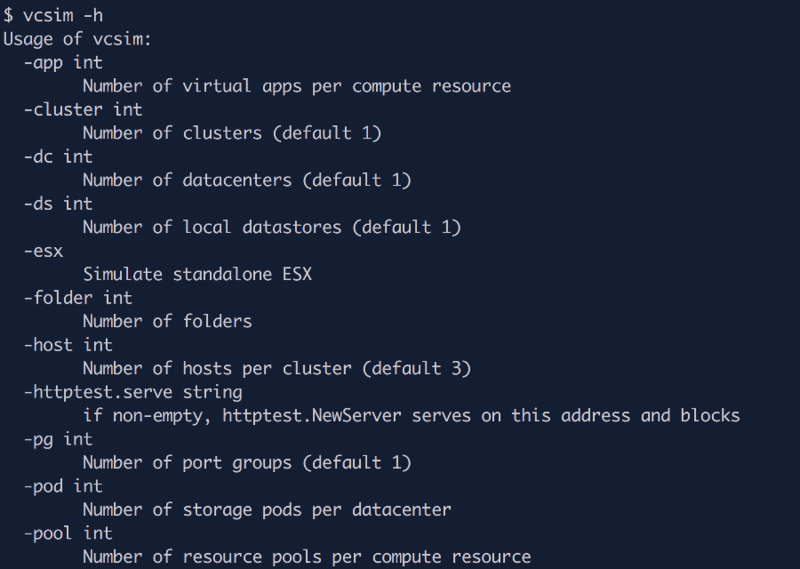 Ansible provides many modules for managing and maintaining VMware resources. Do note that govcsim will simulate almost the identical environments provided by VMWare vCenter and ESXi server. We will use Fedora 26 for the installation of govcsim. Let’s assume that Ansible has been already installed using dnf or a source tree. This should return your home directory path with the Go workspace. If everything is configured correctly, you will be able to get the help options related to govcsim. Now, govcsim is working. You can check out the various methods available by visiting https://127.0.0.1:8989/about on your favourite browser. 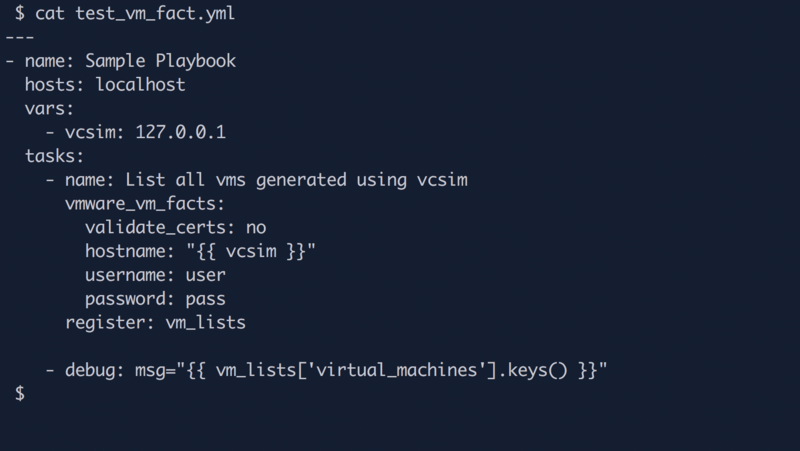 Now, let’s try to write a simple Ansible Playbook, which will list down all VMs emulated by govcsim. The complete code is given in Figure 3. After running the playbook from Figure 3, you will get a list of virtual machine objects that are simulated by the govcsim server (see Figure 4). You can play around and write different playbooks to get information about govcsim simulated VMware objects.